Macaroni trail rides the best! He is a beautiful roan in the summer!! 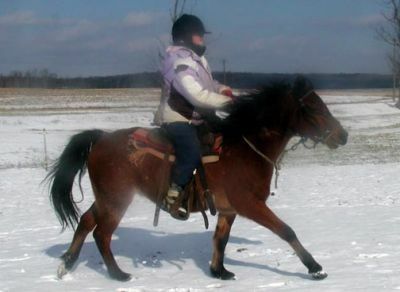 Carol riding in the snow! !